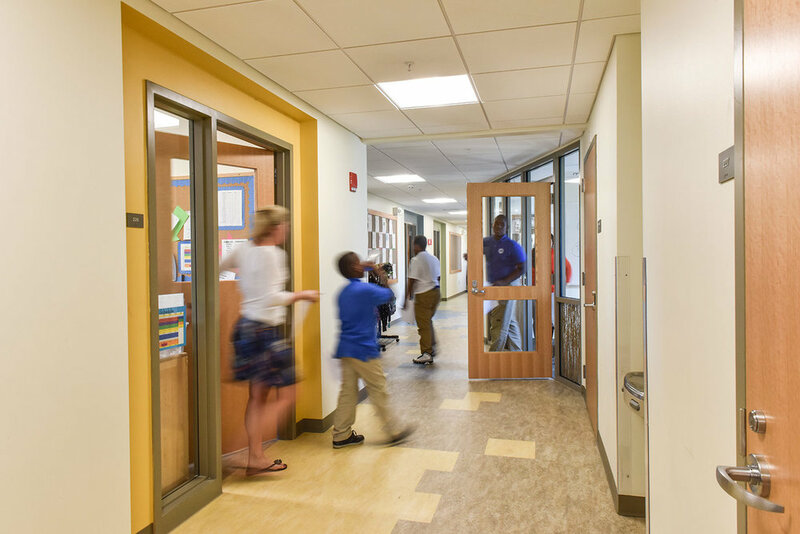 Working with the Boston Public Schools and the City of Boston Public Facilities Department, MDS designed the two-phase renovation and addition project for the John D. O’Bryant School of Math and Science. Renovations created five new science laboratory classrooms, updated the entrance, and improved building and site accessibility. This 1,240-student, grade 7-to-12 exam school is located in part of a large multi-building complex which was designed in 1970 by Marcel Breuer as a vocational high school. MDS designed a new main entrance to provide the school with a high-profile presence along Malcolm X Boulevard, while staying true to the original Breuer architecture. Design challenges included reconfiguring the original pre-cast concrete facade, bridging the depressed lower-level site, providing accessibility across substantial grade changes, and effectively connecting to the school’s central circulation system.